Using correct phases walk, trot, halt, back up. Move hindquarters without touching, using driving game. Name five points on a saddle and a bridle. These must be different to those used previously. Ride with a single rein walk and trot, being able to toss rope over horses head whilst walking and trotting. Weave in and out of cones at walk and trot with reins. Weave in and out of cones at walk using a carrot stick. Know trot diagonals (when should you rise?) and demonstrate. Know the 7 games of Parelli Natural Horsemanship. Name & describe them. Name and describe characteristics of 2 breeds. When do you worm for bot flies? Demonstrate the Purpose Games thoroughly. Know how to gauge if a horse is thinking. Weave in and out of cones at walk, one rein. Demonstrate jumping position over a series of trot poles. Name and describe 3 different bits (drawings ok too) and their uses. 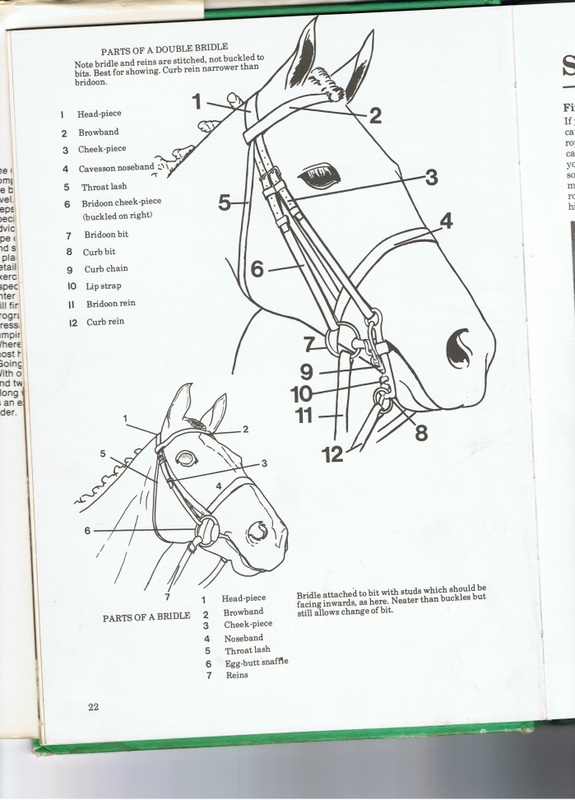 Name and describe 3 different types of saddles (drawings/pics can be included) and their uses. Name the most problematic intestinal parasite (worm) & explain why. Know why & how to bandage a leg and demonstrate. Know when, where and why to bleach a horses’ hoof and how to do it. Know why & how and when to bandage a tail and demonstrate. Describe what a hoof that’s due for a trim looks like. Know whether a horse is tense and gauge how tense. Describe. 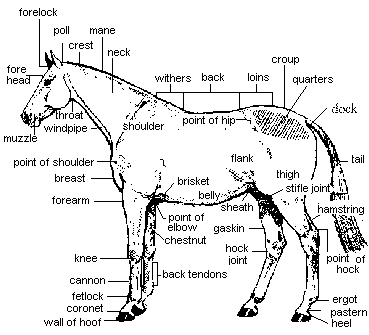 Know whether a horse is relaxed and gauge how relaxed. Describe. Name 4 mechanical devices (equipment) people use to help them make the horse do what they want. Name their purpose & how they work.